Have you ever heard of Simon Stylite? Well, Simon Stylite was born in about 390 A.D. in Northern Syria, just as it became part of the Byzantine Empire. Hello friends! This is Doug Batchelor. How about an amazing fact? Have you ever heard of Simon Stylite? Well, Simon Stylite was born in about 390 A.D. in Northern Syria, just as it became part of the Byzantine Empire. Under the influence of his deeply religious mother, he developed a strong zeal for Christianity. By the age of 13, after hearing a lecture on the Beatitudes, he began to frequently fast from food. Before the age of 16, Simon entered a monastery where he commenced the regime of fasting and prayer so severe he was even asked to leave the monastery. He then shut himself up for three years in a hut where he would fast as long as 40 days during lent, seeking peace with God. But he thought the hut was too comfortable; so Simon moved to a rocky cliff in the desert and compelled himself to remain a prisoner within a narrow ledge. But eventually crowds of pilgrims hearing that there was a holy hermit living up there in the desert, they went to him, seeking his counsel and prayers. All of this attention left him with little time for his own private devotions. This, at last, inspired him to adopt a new way of life. If he could not avoid the world horizontally, he now hoped to find peace escaping it vertically. Simon discovered an ancient, tall pillar among some ruins 48 feet high. On top of this pillar, with the help of some friends, he built a platform about 12 feet square. He then proceeded to live for the next 37 years perched on top of this pillar, exposed to all the elements. He became known to history as "Simon the Stylite." "Stylite" or "stile" means "pillar" in Latin. Even on this high column, Simon could not escape the world. If anything, the new pillar drew more pilgrims and curiosity seekers. Simon patiently made himself available for these visitors every afternoon by means of a ladder. They'd climb halfway up and he'd talk to them. They were able to ascend the column and get interviews and prayer requests. He even wrote some letters. We still possess them today. In these, he instructs his disciples; and from his pillar perch, he sometimes preached about holy living to those who assembled beneath the platform. Simon's unwanted fame spread throughout the empire gaining him influence with both the church and the state. After spending 37 years living up on this platform on top of a pillar, Simon died at the age of 69. He inspired many imitators; and for the next hundred years, aesthetics living on pillars, or stylites, were common all through the Byzantine empire. Today, Simon is commemorated as a saint in the Coptic orthodox church. But, is it really necessary to be an aerial aesthetic in order to find peace with God? Stay with us friends. We're going to learn more as Amazing Facts brings you this edition of Bible Answers Live. Pastor Doug: It is indeed a privilege to be back with you again, friends, for another episode of Bible Answers Live. This is a live, interactive program. It's always an adventure as we take this safari in the Scriptures because we really don't know exactly how the Lord is going to lead. It's a live program. If you've got any Bible-related questions, we do try to channel things in the direction of God's Word and the most important Book. If you have a Bible question, then we invite you to call and we will search the Word together to find the answers. And if you want to call in with your question, we still have a couple of lines open. Pick up your phone right now, and that number is 1-800-GOD-SAYS; that's 1-800-463-7297. Sometimes people call while they're driving on their cell phones. It's hard to see the little, bitty letters on those buttons, not necessarily safe either. But give us a call now if you've got a Bible question. We'll do our best to answer it. My name is Doug Batchelor. Pastor Jëan Ross: My name is Jëan Ross. Good evening Pastor Doug and listening friends. Pastor Doug, before we get into our questions this evening and talk a little bit about the amazing fact, let's start with a word of prayer. Dear Father, once more as we open up Your Word, we ask for the Holy Spirit to guide us. Be with those who are listening to the program this evening wherever they are. Be with us here in the studio. And we pray that You give us wisdom as we open up the Bible to find answers to these questions. For this we ask in Jesus' name, amen. Pastor Jëan Ross: That was a fascinating fact. And sometimes, when you hear something like that people tend to ask or wonder, "Is there anything that I can do to earn merit or favor with God? Do I need to fast a certain number of days? Do I have to afflict myself with, maybe going upstairs on my knees, or whipping myself?" Is there something we can do to win God's favor? Pastor Doug: You know, someone asked Jesus that question one time in the Gospel of John. They said, "How can we do the works of God? What works shall we do?" And so often, people are accustomed to climbing a mountain. David, to pay the dowry for his wife, he had to go slay a hundred Philistines and bring the evidence; and so he killed 200. Well, we don't earn salvation by climbing a mountain, or whipping ourselves, or crawling on our knees, or living on a pillar. It's through faith. The work Jesus said is to believe on Him who the Father had sent. So if you want to call believing a work, well that's the work, to believe, to accept by faith. There's a verse in the Bible where Isaiah addresses the principle. Now you know, we might look forward to seeing Simon the Stylite in heaven. Pastor Doug: He was very dedicated. He devoted trying to find God. But as was the custom in the day, he thought that it was coming through these austere, spartan living, self-denial ... afflicting himself. And sometimes people fast, thinking they're earning merit with God by fasting. And the real purpose for fasting--and it's good for Christians to fast. There's, of course, health benefits in fasting. It's good to rest your system. That might mean fasting for a meal; it might mean fasting longer. Some people fast for health reasons to lose weight. In the Bible, a person might fast because they're humbling themselves before God by denying themselves those pleasantries. "Is it a fast that I have chosen? a day for a man to afflict his soul? is it to bow down his head like a bulrush, and to spread out sackcloth and ashes? will you call this a fast, an acceptable day to the LORD? Is not this the fast that I have chosen? to loose the bonds of wickedness, to undo the heavy burdens, to let the oppressed go free, and that you break every yoke? "Is it not to share your bread with the hungry, and that you bring to your house the poor who are cast out? when you see the naked, that you cover him; and don't hide yourself from your own flesh?" So Isaiah is saying, it's not that you punish yourself that is pleasing to God. The fast that's pleasing to God is loving your fellow man; and doing good and relieving the suffering of others. But some people are so confused about salvation and "what do I do to be saved?" It's not through works. The Bible tells us in Ephesians it's through faith we're saved. Pastor Doug: It's by grace. We have a free offer that can help people understand the good news of salvation and what must I do to be saved. Pastor Jëan Ross: It's probably one of the most important offers that we can make available. It's a little booklet entitled, Three Steps to Heaven. It talks about what one has to do in order to receive that wonderful gift of salvation, which God wishes that all would receive. We have some Internet questions that we would like to take a look at. Pastor Doug: Who do they call to get the book? Pastor Jëan Ross: Oh! I forgot to tell them. Alright, if you haven't heard the program before, the number to call for the free offer is, 1-800-835-6747. That's our resource number, 1-800-835-6747. And again, the free offer tonight is, Three Steps to Heaven. We'll be happy to send that out to you. Alright, we have two questions this evening that we'd like to look at. They've come in via the Internet. Pastor Doug, the first question is, "In 1st Samuel chapter 25, the Bible talks about Samuel the prophet being called up from the dead and being able to speak to Saul. What does this mean?" Pastor Doug: Well, at first reading, if you're not comparing that verse with other verses in the Bible, it might seem that this witch of Endor had the power to resurrect Samuel, or some apparition; and that she was able to help Samuel the prophet communicate with King Saul. But as you investigate other places in the Bible, it tells us this is actually a demon that was posing as Samuel, for the purpose of totally discouraging Saul and of course, it worked. Saul got so discouraged he committed suicide. And that's why the Bible says, "Do not have any fellowship with the unfruitful works of darkness." In the Old Testament, it said that they were to not tolerate a witch in their midst, or someone who consulted, or pretended to consult, with the dead. The devil doesn't have the power to resurrect anybody. And so this apparition that masqueraded as Samuel the prophet was a demon doing that. Pastor Jëan Ross: So that wasn't Samuel in front of Saul? Pastor Doug: No. In 2nd Corinthians 11 it says Satan himself can be transformed into an angel of light. Pastor Jëan Ross: So the devil is there to deceive. Pastor Jëan Ross: Of course, the devil transformed himself into a serpent way back there in the garden of Eden. Pastor Doug: And most scholars believe that when the devil appeared to Jesus in the wilderness, he did not plop down on the ground wearing red leotards with bat wings, and goat hooves, and a goatee, and a pitchfork, and say, "Hi, I've got a proposition." He probably appeared as a messenger from heaven to deceive Jesus. Pastor Jëan Ross: Our next question then is, "I was wondering, did Adam and Eve have immortality? And if they did, did the animals during the time before the fall have immortality as well?" Pastor Doug: Good question. We know, of course, that Adam and Eve, foretold by the Lord in Genesis chapter 2, that as long as they were eating from the Tree of Life, they would live forever. It would, somehow, perpetuate life. I don't know if one bite gave them 900 years or how it worked because, even after they were chased from the garden, they still lived over 900 years. Pastor Doug: But they, evidently, needed to eat from it, at least in this world, to have eternal life. The animals were not carnivorous before sin. Man was not carnivorous before sin. And, who knows, the animals may have eaten from some of the fruit that fell from the tree as well. I don't believe there was any death before sin. We were teasing before the program; if you've got the Tree of Life for man, there might have been the Meadows of Life for the other animals. We don't know (chuckles). But they never died. It wasn't until sin that things began to die. Pastor Jëan Ross: Alright. We'll go to the phone lines. Our first caller, Moshesh, is calling from Calgary, Alberta, Canada. Moshesh, welcome to the program. Moshesh: Thank you. My question is referring to the feasts of God. In Genesis chapter 1 it talks about--in 1:14 it talks about setting illuminaries in the heavens for the set times. And in Zechariah chapter 14 it talks about those wrapped in the nations will come and celebrate the feast of tabernacles in the last days. And in 1st Corinthians chapter 5, 6 through 8, Paul commands us to celebrate the festival of Passover; and as well as in Revelation, we are told that in the last days, everyone will come in to celebrate the feasts of the Jews. How are we suppose to understand this? Pastor Doug: Alright. Well in the Old Testament, if you look in 1st Corinthians chapter 5, verse 6, it tells us--well verse 7: "Therefore purge out the old leaven, that you might be a new lump, since you truly are unleavened. For indeed Christ our passover was sacrificed for us." So right away we see, Moshesh, that there is a difference in that. Now we don't sacrifice Passover lambs anymore. Jesus is our Passover Lamb. And then He told the disciples as often as they eat His flesh and drink His blood, or celebrate the communion, to do it in remembrance of Him. It was not specified that it was to be an annual event anymore; and Paul, when he refers to the Lord's supper, never attaches it to a specific date. So, all of the feasts, they all appear after the time of the Exodus. There were no Jewish feasts until the Exodus. The ceremonial laws that were the shadows that pointed to Christ that were types of the plan of salvation, they meet their fulfillment now in Christ. And I think they are among the things that were nailed to the cross, the sabbath days that are shadows. And so, I think you can find Bible significance in all of the feasts that help to illustrate the Exodus and the deliverance and the wanderings of the children of Israel. They're all tied to salvation. Matter of fact, we've got a book on that we'll be happy to send you Moshesh. It's called, Feast Days & Sabbaths, if you are interested in that. Pastor Jëan Ross: All you'll need to do is call the resource number. 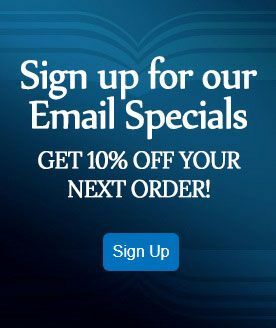 It's 1-800-835-6747, and just ask for that free offer, Feast Days & Sabbaths. Pastor Doug: Feast Days & Sabbaths by Joe Crews. Pastor Jëan Ross: And we'll be happy to send that out. Our next caller is Jason and he's listening on WPAK from Norfolk, Virginia. Jason, welcome to the program. Jason: How's it going brothers? Pastor Doug: Very well. Hey Jason, how can we help you tonight? Jason: Yup. My question is coming from Job 41:15. It talks about behemoth. I just want to know, is that a dinosaur that it's referring to? Pastor Doug: Well there's been a lot of speculation about what this creature was. Job 41:15? Pastor Doug: Ah yeah. "His rows of scales are his pride, shut up tightly as with a seal. One is so near to another, that no air can come between them." And it goes forth and it describes this creature; and everyone is wondering. Then it says sparks and fire shoot out. Some are wondering, "What is this?" "A smoke goes out of his nostrils and from the boiling pot and burning rushes." There are, of course, a number of animals that are extinct. And probably, Job is one of the oldest books in the Bible. It dates back to about the time of Abraham. And there may have been some creatures in the oceans that rose to the surface like whales do, but they had scales like fish do. I mean, there are so many different kinds of creatures that are extinct. Some have argued that this behemoth was the crocodile that they did have at one time, even in the Euphrates River down were Job lived. Of course, crocodiles have scales; and they can sometimes blow a little bit of moisture out of their nose and it could look like smoke. Or, in the cool morning, you know, it might look like that. I don't know. Pastor Doug: --to a dinosaur. It's a mystery; and I'd just be speculating. Pastor Jëan Ross: You know, we do have, of course, the fossil record that speaks of animals that--it goes to before the flood--there could have been some gigantic animals that were destroyed as a result of the flood. And this was still fresh in the mind of Job. Pastor Doug: Yeah, the leviathan or the behemoth; but they don't know. Job was describing one of the many titanic--they had a lot of colossal sea creatures that are now extinct. Pastor Doug: And he's probably describing one of those that may have been more common to their area prior to our time. So, don't know exactly what it is. My guess is probably almost as good as the others. Jason: Alright then, appreciate that. Pastor Jëan Ross: Our next caller is Joseph, listening on WMCA from New York, New York. Joseph, welcome to the program. Joseph: Pastor Ross, a couple of weeks ago you mentioned that Abraham and Sarah had the same father, Terah, but she had a different mother. I tracked the Bible and I saw that, but I couldn't find out who the mother was. Could you please help me with that? Pastor Jëan Ross: You know, I've looked at it right now and it speaks of, of course, Terah being the father of Abraham. And we understand that Sarah was Abraham's half-sister. Pastor Jëan Ross: But as far as a record of who her mother was, I don't find that anywhere. Pastor Doug, I don't know if you know. Pastor Doug: No. It does tell us about Abraham and his father; and it says that Abraham's father is the father of both Abraham and Sarah. Pastor Jëan Ross: But she had a different mother. Pastor Doug: --that I know of. The only thing, I'm trying to remember. I think Abraham's...was it...Milcah was his sister; or, Milcah was the mother of Lot. But yeah, I don't know that it tells us what the name was. Joseph: Well was that marriage...that was incestuous, wasn't it? That marriage of the brother and sister? Pastor Doug: Well we would call it incestuous now. But of course, you would probably call Cain and his wife--he married his sister, he married his full sister--we would call that incestuous. But back before the flood, Adam and Eve were brother and sister, technically. Think about it. Joseph: But this was 2,000 years later. Pastor Doug: Yeah, but it's still man's blood and his genes had so much vitality that they didn't begin to see...you know, there's no moral problem with man marrying a cousin or a half-sister. The problem is not a moral problem. It's a man, it's a woman. The problem is there's a genetic problem. Pastor Doug: There's a chance for weakness in the offspring because you're marrying too close to your own gene pool. Joseph: Does that change with the Mosaic law? Pastor Doug: Yeah. By the time of Moses, man had degenerated to the place that if you married anything beyond the first-cousin, if you married closer to that, your risk of genetic defects was much higher. Joseph: Is that what they call the third degree of kinship, first-cousin? Pastor Doug: Oh now you're catching me off guard. I don't know. Joseph: (Laughs) Oh okay, thank you both, thank you. Pastor Doug: Alright, bye bye. Pastor Jëan Ross: Our next caller is Marcus listening on the Internet from Berrien Springs, Michigan. Marcus, welcome to the program. Pastor Jëan Ross: Marcus, you'll need to speak a little closer to your phone. You're coming across...that's better. Marcus: Okay, great. My question is about generational curses in regards to sexual addictions. Are there any characters in the Bible that suffered from any sexual additions that was passed down from one generation to the next? Pastor Doug: Well, you know, we had a lot of sophisticated words that we use for these things. You do have examples in the Bible where David was not the best example of morality for his boys, in that he committed adultery and he had multiple wives. And then Solomon got into the same kind of trouble; and then his son also had multiple wives, Rehoboam. So, you do see an example where that tendency went from father to son to grandson more than once. They don't call them sexual addictions, but I'm sure that if a psychiatrist evaluated the man today that had 300 wives, he'd say he had a problem. Pastor Doug: I mean, (laughs) Solomon had 300 wives and 700 porcupines, or concubines, or something. But uh, yeah, that sounds like a sexual addition to me. But you know, like I said, David...it wasn't hereditary physically; it was passed on by example, not by genetics. Does that make sense Marcus? Marcus: It does. So, it was not necessarily a lust problem. It was more of an example problem. Pastor Doug: Yeah. I've met men before; Pastor Ross and I are both Pastors. And we counsel with people and every now and then, he'll meet a man who's struggling with temptation. I'm sure it happens with women as well. And they say, "You know, something's wrong with me. I am different from other men. I am over-sexed." In other words, "I've got a stronger drive than most men." And I wonder how they come to that conclusion, if there's some kind of a thermometer that tells them that? I think that everybody pretty much has about the same desire; and it's a question of self-control. Whether you focus on it; you know, there are things that you can feed in your nature that makes something stronger. And then there are things that you can do that will keep something subdued and more under control. When you feed lust, it doesn't make it go away. It often increases it. It's like a snake or monster that gets bigger. Pastor Doug: Well, that's what I mean. I don't believe King David passed on a physiological weakness to Solomon. I think his example is what was passed on. Pastor Jëan Ross: You know, we have the three great temptations that come in different forms to man. It's 1st John chapter 2, verse 16, "For all that is in the world, the lust of the flesh, and the lust of the eyes, and the pride of life, is not of the Father, but of the world." In one form or another, each of these categories come to us. By indulging a particular tendency it's strengthened. And, of course, if that's in the father and it's carried on by example to the son, or whatever, that's going to be strengthened in the family. Marcus: So do we have any examples in the Bible of any addictive behaviors passed down genetically? Pastor Doug: Um, I'm thinking. I'm scanning my mental hard drive, going through some of the patriarchs and prophets; and I can't think of any that were passed down genetically. There's no way to prove it was genetic. Pastor Jëan Ross: The Bible does speak the sin being passed down to the third and fourth generation. Pastor Doug: Yeah. It's usually by example though. Pastor Jëan Ross: By example. Pastor Doug: that happens, yeah. Pastor Jëan Ross: --with people. Pastor Doug: You know, it is true that children of alcoholics are more prone to have that same problem. You've got to be especially careful. And some tendencies that we're born with, we do inherit; and I just don't know that that is something that if a person practices it, it gets into their genes and is passed on to their children. So, can't think of an example. I think it's usually...it's not genetic. It's a pattern that is picked up by the children. Marcus: Now those guys had many wives. But they also had the Ten Commandments. So they knew that adultery was sin; so I wonder why did they have so many wives and concubines? Pastor Doug: Well they justified it by saying, "As long as you marry them, it doesn't matter how many you marry." They thought they were keeping that commandment. "Just don't cheat on any of your wives" is how they justified it. Of course, we know better. But yeah, they had ways of trying to rationalize. Marcus: But they had concubines as well. Pastor Doug: Yup. Well, the typical man did not have concubines. Kings would have concubines to make sure that they had enough heirs, that they would have a male heir that survived. And the Jewish kings adopted that from the pagans. That was never part of God's original plan, for man to have multiple wives or concubines, either one. Pastor Jëan Ross: --and drew his heart away from God. Pastor Jëan Ross: Our next caller is David and he's listening on KTIE, from Victorville, California. David, welcome to the program. David: Hello fellows, how are you? God bless you both Pastors. David: Just real quick. I'm not too comfortable with some of the music that is entering into my church. And I was wondering if you had some Bible verses that I could write down to help me with respect to proper music in the sanctuary? Pastor Doug: Alright. Keep in mind, there is a whole section in the Bible where there are 150 Psalms. And so, you can start by writing down Psalm 1 and put a dash and do a Psalm 150. There are some Scriptures for you to study. The reason I'm saying that is not to be facetious or sarcastic David. Nobody knows what the music was to those Psalms. That tells me the most important part was the words. But in many churches today, all the people notice is the music. The music overpowers the words and people don't hear the message. The purpose of the music in worship is to enhance and to hold up the words. And there's something about our natures, in our minds, that it's easier for us to remember words when put to music. David: Right. I think, maybe, I should explain a little bit deeper then. There are adaptations of contemporary Christian music that I don't find Christian that are working their...in other words, they're very melodious songs. They appear spiritual, or appear godly; but yet those songs, themselves, the words don't seem to be very Christian. They come from different bands and different music. David: It seems very secular to me. Pastor Doug: --and it could sound like love song; and they say, "Oh but it's a love song for Jesus." Pastor Jëan Ross: And they never mention His name anywhere in the song. Pastor Doug: Yeah. Now, I'm a little biased David. I need to tell friends that I grew up in the world. My mother was a songwriter, wrote for Elvis Presley; but I like hymns. I think the theology in some of the great, majestic melodies of the hymns were just tremendous. So many of the songs today, they're kind of very simple. They come from praise songs, and I like some praise songs. I mean, but, a lot of them we call them seven eleven songs because they sing the same seven words eleven times. And it's almost repetitive and hypnotic where the emphasis doesn't seem to be on the meat. We're going to take a break friends. I don't mean to cut you off David, but we need to take a halftime break here. Listening friends, we're going to have some important announcements for you. Get a pencil ready and, if nothing else, start by writing down the Amazing Facts website, which is just that. It's amazingfacts.org. That will take you to the Amazing Facts website that is a tree of life, full of information for your study. We'll be right back. Pastor Doug: We are back, and this is Bible Answers Live. If you have joined us along the journey, if you have a Bible question, we've still got, oh looks like a couple of lines open. So pick up the phone and dial that number, 1-800-GOD-SAYS, 1-800-463-7297. We dedicate this program to searching for truth. The truth will set you free, from the Bible. My name is Doug Batchelor. Pastor Doug: In less than a month. I just looked at my watch and, yeah, it starts September 7th. It will be broadcast live from the Lansing, Michigan Convention Center. And it is a special Bible study talking about some of the fundamentals of Christianity; and it's called, Here We Stand. It'll be on TV, on 3ABN and all of their affiliates. People can pick that up in their churches, invite their friends. Pastor Jëan Ross: You can watch it online too if you don't have access to 3ABN. Pastor Doug: Yup, and matter of fact, all the information about the event, Pastor Ross, will be there with me; he is the moderator for the program. And it is 07Revive.com. Pastor Jëan Ross: We really want to encourage those who are listening who are going to be participating in this event to go to that website and register your site. 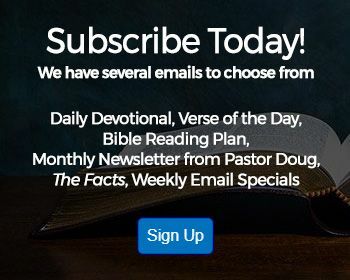 There is some additional material that we'd like to send out to you that would help prepare for these exciting series of Bible presentations by Pastor Doug. So if you are planning on participating, do go to the website, 07Revive.com and register. Pastor Doug: Yeah, it's a good revival series for a church! Pastor Jëan Ross: We're going to go to the phone lines. Brandon is listening on WPAK from Norfolk, Virginia. Brandon, thank you for your patience. Welcome to the program. 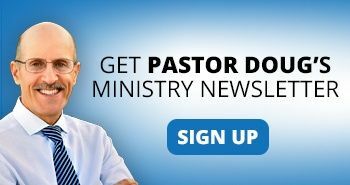 Brandon: God bless you Pastors! Brandon: My question is concerning the spiritual gifts out of the book of Corinthians. Brandon: I wanted to know how would we know what spiritual gifts we were operating in? And...because the Bible doesn't really, from what I understand, it really doesn't give an understanding of all the gifts of the Spirit. Pastor Doug: There are several different gifts of the Spirit that are listed in the Bible. You find, of course, one in 1st Corinthians chapter 12. There are other gifts in Galatians chapter 5; talks about the fruits of the Spirit, which is really different from the gifts of the Spirit. But there are several things you can do to better understand what gifts of the Spirit you may have. For one thing, in the Bible you read in Proverbs, "In the multitude of counsellors there is safety." Talk to your Christian friends that are close to you and say, "Look, you've known me for a little while. If you were to tell me two or three of my spiritual gifts, what would you say they are?" And if you get all of your friends saying, "Well brother, you've really got a gift of leadership; you've got a gift of healing; you've got a gift of hospitality; teaching...." That ought to tell you something, if several people are saying the same thing. Then it's often true that the Lord will put a desire, a yearning in your heart, to do something that you have a gift to do. I enjoy, very much, teaching. And, you know, as people told me, "Doug, you have a gift for teaching" and I enjoyed teaching, I began to think, "Maybe God wants me to teach." So, that's one way to find out. You might think, "The Lord is giving me a gift for music," but if all your friends say, "Don't sing," [laughs] then you better listen to your friends [laughter]. So just because you want to do it, that's not the only litmus test; so you know, get the counsel from your friends. And then see if it's something that will build up the church. Spiritual gifts are given in one way or another to edify the body and to serve. That's just a few basic criteria. You know, I don't recommend this often, but I went to the Internet one day and typed in "spiritual gifts." And there are some good spiritual gifts surveys you can find on the Internet that I thought were pretty thorough. You can actually fill out a survey and it'll say, "Based on these questions, most likely, these are your areas of gifts." We probably need to find a good one we could put at the Amazing Facts website. Pastor Jëan Ross: Um-hmm, that's a good idea. Brandon: Alright, because I was trying to understand it, the word of knowledge and the word of wisdom, and those as well. Pastor Doug: Yeah. And there's a difference between wisdom and knowledge. So you know, I don't have time during our brief question to launch off into all the different gifts and explain them. I mean, it goes everywhere from being an apostle to the gift of tongues. Well, we do actually have a book we could send you on the gift of tongues; and that does talk about spiritual gifts in it. Pastor Jëan Ross: Um-hmm. Of course, spiritual gifts is one thing; but probably the most important thing that we want to focus on is the fruit of the Spirit, which every believer should have in their heart and in their life. Pastor Doug: Yeah, not every believer has every gift, but every believer should have all the fruits. Pastor Jëan Ross: That's right. Thank you for your call Brandon. Our next caller is Ruby and she's calling from Mt. Vernon, New York. Ruby, welcome to the program. Ruby: Yes. I just have a quick question. Some people are saying that the sacrifice that Cain gave, when God didn't accept it, was a lamb, or an animal. But how do we know if there's nowhere in the Bible that it is? Some are saying maybe he didn't offer up the proper, the good quality fruits. So I want to know if there's anywhere in the Bible which says exactly which animal, what offering did he offer up, why God did not accept it? Pastor Doug: Alright, that is a good question. You know, you're not going to find right there in Genesis chapters 4 and 5 the evidence of exactly what the fruit was that Cain brought. It does tell us that God established the sacrificial system in the garden of Eden. In other words, when man sinned, they covered themselves with fig leaves. God said the fig leaves, man's own attempt of self-righteousness, would not work. God gave Adam and Eve coats of skin. That means something had to die. So the sacrificial system was established by the Lord way back in the garden of Eden. That's why you read in Revelation, it talks about "the Lamb slain from the foundation of the world." Then when they get the story of Cain and Abel, it says Abel brought, and this is Genesis 4:4, the firstborn of his flock; and that, we're assuming, was a lamb because it says in Revelation, "a lamb slain from the foundation of the world." But Cain brought of the fruit of the ground. It was some form of agriculture or from his farm. And God said without the shedding of blood there's no forgiveness. So Cain may have brought wonderful fruit. He may have brought pumpkins, and zucchini, and avocados, and apples. I have no idea what he brought, but it was vegetarian. It didn't require a blood sacrifice. Back at the garden of Eden, evidently, fire came down from God to show acceptance of the sacrifice. You probably remember, Ruby, in the Bible, in the days of Moses, fire came down and accepted it. And when Solomon built the temple, fire came down. When Elijah built his altar, fire came down. This showed the acceptance of God on their sacrifice. Pastor Doug: God's fire came down to accept Abel's sacrifice. That's why it says God had respect to it; but it didn't come down for Cain. Pastor Doug: And that's why Cain was angry. Well there was no blood; and without blood, there's no forgiveness. Ruby: Okay, alright. Thank you very much. Pastor Doug: Alright. That's a very good question. And you know, I also like to remind people Pastor Ross, that there were two offerings. Two brothers claimed to worship the same God there in the first book of the Bible. You get to the last book of the Bible, you've got two groups claiming to worship the same God; one is worshiping the beast. The one who is worshiping rightly is persecuted by the one who worships wrong. Pastor Doug: And Cain killed Abel; yet, Able was doing what God said. So you're going to have that same scenario practiced at the end. Pastor Doug: That's a good point. Pastor Jëan Ross: --and we have a mark at the end, in Revelation. Pastor Doug: Yup, a lot of similarities in those stories. Pastor Jëan Ross: Our next caller is Barbara and she is calling from Montana, listening on 3ABN Radio. Barbara, welcome to the program. Barbara: I am exhausted on two questions. What are the beings on the other worlds? I know that there's um, God has, you know, beings on other planets. What are those beings? And was Satan confined to just earth, or was he allowed to go to the other worlds and tempt them too? Or are we the only ones that failed that test? Pastor Doug: Okay. First thing Barbara is alluding to is, we are of the belief the Bible teaches there is other life out there that God has made. Of course, the Bible is very clear that there are angels, and seraphim, and cherubim. And it tells us in Hebrews, in Colossians, that God made the worlds, plural. And when you think about the immensity of space and how it talks about every creature in the heavens above and the earth beneath below will bow down to the Lord, it always implies through the Bible there is other life besides earth. What kind of beings they are, I don't know if they are lima beans or pinto beans; but there are other beings out there. Pastor Doug: I don't know what they are. The only ones named, like I said, are the angels and angelic creatures. What was the second part of your question? I know I'm missing something. Barbara: Okay, and um, was Satan just confined to earth, or was he allowed to tempt the other beings on the other planets? Pastor Doug: Oh, good question. When Satan first rebelled, of course, he had access to the courts of heaven. I believe Satan probably went through the universe trying to find other worlds that would join him in his rebellion. We know that he campaigned among the angels, because one-third of the angels were cast to earth with him. But it wasn't until he got to our world he found some people that were willing to listen. And so, Adam and Eve surrendered dominion of this world that God had given man to the devil. Satan claims this planet. That's why even Jesus says, "The prince of this world comes." Satan offered it to Jesus. He said, "If you bow down, I own this world. I'll give it to You. You don't have to die for it." So, I think that he did have some access to tempt other beings, but the only world that fell, according to the Bible, is this planet. And God so loved the world, this planet, that He left the courts of glory and came to our planet to save this lost sheep. He left the other sheep safe in the fold out there. Barbara: And is Satan still able to go other places other than earth? Pastor Doug: Well I don't believe he's able to approach the gates of heaven anymore. It tells us in the book of Job there was a day that the sons of God came and presented before the LORD, and Satan came from the earth to that meeting, Job chapter 1. But I've heard some say that, since the sacrifice of Christ was victorious, Satan cannot access those heavenly meetings anymore because Christ has regained that dominion to some extent. Pastor Jëan Ross: We get that idea also in Revelation chapter 12, verse 10, which is speaking after Christ's death on Calvary. It says, "The accuser of our brethren is cast down, which accused them before our God day and night." Pastor Doug: And it calls him the serpent and the devil. Pastor Doug: --when Christ died. That's a good point. Hope that helps a little Barbara. That was a rapid-fire Bible study. Pastor Doug: Alright, you're welcome. Pastor Jëan Ross: Alright. John is listening on KBIA from San Francisco, California. John, welcome to the program. John: Good evening. Thank you for taking my call. Pastor Doug: How can we help? John: Yeah um, I have a two-part question here. First of all, and this is, kind of, something that I just learned recently. I listen to a lot of various Christian radio stations, including this one; and listen to many Bible teachers like yourself. Anyway um, can sin lead to demon possession? And what I mean by that is, if someone, let's say, knew Christ or didn't know Christ, dabbled in the occult, let's say, like witchcraft, picked up a book on witchcraft, and maybe she, over time, decided to join a covenant and practice all the sorcery in it. Can she, ultimately, be demon possessed? Pastor Doug: Well first, let me begin, if you don't mind, by addressing a common misconception that demon possession really only comes through the avenue of people dabbling in the dark arts of witchcraft or demonic worship. That is a myth. Demon possession comes from hanging out with the devil; and a lot of people hang out with the devil in a bar. And they may have nothing to do with tarot cards, or astrology, or devil worship. But through continually giving in to temptation, we surrender elements of our will. See, God gives us a free will. And we surrender that freedom to the devil in degrees. Demon possession is basically where people continue to open themselves up to the devil, so that he takes possession. Now, I'm sure there are those who get involved in the black arts, and the dark magic and things that's accelerated; because they're jumping right in and saying, "I know who the devil is and I want to serve him." Yeah, they could probably take the fast track to demon possession. But it's certainly not restricted to those who are involved in witchcraft or the occult. John: Okay. So in essence, if someone was involved in the occult or witchcraft, they leave themselves quite wide open to demon possession? Pastor Doug: Oh absolutely, well yeah. Yeah that is definitely a risk. Matter of fact, I believe everybody who is involved in black magic or devil worship is possessed to some extent. Keep in mind, there's a story in the Bible of a man who was possessed with 2,000 legions, or 2,000 devils. It tells us that there was lots of devils in this man. So that leaves us to the conclusion that there are different people out there that have different degrees of possession. Pastor Doug: And I think there are probably a lot of folks walking the street that are demon possessed in different degrees. Pastor Doug: --they're writhing on the ground and foaming at the mouth. John: Yeah. That's something else! Pastor Jëan Ross: Yeah, that's not always the case. Pastor Doug: Most of the time, it's not. Pastor Jëan Ross: In Revelation it says that there are the spirits of devils that go out to deceive the whole world. Pastor Jëan Ross: So at the end of time, there are two groups. One is controlled by the Spirit of God; and another group, the larger group, controlled by the spirit of Satan. John: Okay. And then the second part to that question, because the second part depended on the first answer, to the answer to the first question--and that is--certainly, someone who's demon possessed could not affect, or have any influence, on someone who's saved who has Jesus living in them? Pastor Doug: Well, when you say they couldn't have any affect on them, well a person who's demon possessed could probably go up and bonk them on the head with a stick if they wanted to. The Lord doesn't say that, because we love Him, that the devil can't harm us in any way. I mean, a lot of saints died during the Dark Ages. They were tortured by people who were demon possessed. Pastor Doug: Missionaries have been tortured to death by people who were demon possessed in the jungles. Jesus said, "Don't fear him who hurts your body; he can't touch your soul." If you've got Christ, they can't hurt what really matters. John: Because the soul will go on forever? Pastor Doug: Well the person who's saved has eternal life and the devil can't touch your soul. He can try and hurt your body. And demon possessed people, we know that they've hurt people physically before. John: Uh-huh, physically and...well, physically, yeah. John: Strictly physically, not spiritually, right? Pastor Doug: Yeah--well yeah, unless the demons succeed in discouraging a Christian and making them lose their faith; but, you're right. Many times in the Bible, demons came at Jesus, or they came at the Apostles, and God protected them where the demons were powerless. Pastor Doug: And that has often happened too. Pastor Jëan Ross: We have the promise in John chapter 10, verse 29 where Jesus is speaking. And He says, "My Father is greater than I." And He says, "No man is able to pluck them," those that believe in Christ, "out of My Father's hand." So that's the assurance that, if we have exercised faith in Jesus and are trusting in Him, no one will be able to pluck us out of the Father's hand. He'll take care of us. John: That's beautiful. Well, God bless you guys. Thank you for offering this show and the time, and giving us the opportunity to get our questions answered. God bless you. Pastor Doug: God bless you. Thank you for your question. Pastor Jëan Ross: Robert is listening on the Internet from Frankfort, Indiana. Robert, welcome to the program. Robert: Hello. It's a privilege to talk with you tonight. Pastor Doug: Likewise. How can we help? Robert: Well my question is with Revelation 17 and the seven heads, or seven mountains, or seven kings? Robert: They fall during the time that is not of this beast. This beast that was, is not, and is. What does these seven heads symbolize? Pastor Doug: Alright. If you look in Revelation 17, verse 9, it tells us, of course, in Revelation 17 the first few verses, it describes this woman who sits on a beast with seven heads. And all these symbols mean something. Pastor Doug: So the angel is helping John understand what the meaning is. And he says in verse 9, "Here is the mind that has wisdom. The seven heads are seven mountains, on which the woman sits." So to begin with, it's telling us that this woman who, it tells us in the last verses of this chapter, "is that great city, which reigneth over the kings of the earth" ; sits among seven hills. Well here you've got a woman. A woman in prophecy is a church; and then it says it's a very powerful entity and it sits among seven hills. Rome is known as--you go to the encyclopedia--it's known as the city of seven hills. It sits in a valley surrounded by seven, obvious hills. And so, right on the surface, there's an understanding there that I don't think anybody can miss; about who is this woman that sits on the seven hills, that is a great city. And again, what city was ruling over the kings of the earth when John had his vision? Well it was the kingdom of Rome. So that can't be missed. But then the prophecy goes on a step further. And it says these seven mountains also represent seven kings. Robert: I know there's a lot here, I know sir. Pastor Doug: Yeah, well real quick, let me tell you. There were seven kingdoms through history. There were seven kingdoms that oppressed and occupied God's people. I'll name them for you very quickly. It's says, "Five are fallen." The five that were fallen were Egypt, Egypt had occupied and possessed and held captive the whole land of Israel; Assyria, carried away the 10 tribes. After Assyria came Babylon, carried away the people of Judah; Medo-Persia; Greece; and so there are five major empires that occupied God's people. Then it says, "One is", that was pagan Rome, that's Rome ruled by Caesars. And then the seventh one was, what you call, papal Rome, which is Rome that was ruled by the church all through the Dark Ages. And so, we've got a lesson we'll be happy to send you Robert. It's called, The Beast, the Dragon, and the Woman. [Addressing Pastor Ross] Well do you think that's the right lesson, or is it, The Other Woman? We've got a couple we could send you. I'm looking at Pastor Ross. Pastor Jëan Ross: Yes. We've got several study guides that deal with this topic. Pastor Doug: The Other Woman, I think, would be better. Pastor Jëan Ross: The Other Woman, yes, deals with Revelation chapter 17. Pastor Jëan Ross: To receive that study guide, all you'll need to do is call our resource number, 1-800-835-6747; ask for the study guide, The Other Woman. 1-800-835-6747. And as Pastor Doug mentioned, it's a deep topic but this study guide will give you a good handle on what Revelation 17 is really all about. Pastor Jëan Ross: Our next caller is Dennis and he is listening on KLOF from Washington. Dennis, welcome to the program. Dennis: My question was regarding the text in 1st John chapter 4, verse 3. Dennis: And the text reads, "And every spirit that confesses not that Jesus Christ is come in the flesh is not of God: and this is that spirit of antichrist, whereof ye have heard that it should come; and even now already is in the world." And I'm just wondering, what is the antichrist and what is this spirit? 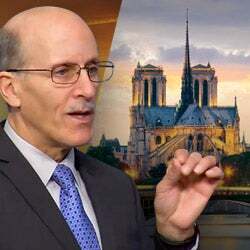 Pastor Doug: Well, keep in mind that John also gives us, and people are surprised to learn this--that the word "antichrist" doesn't even appear in Revelation. The word "antichrist" appears in the letters of John. He says there are many antichrists that are gone out. And so "antichrist" is talking about a power, or entity, that is working in opposition to Christ and His teachings. So the "spirit of antichrist" is one who would deny and/or oppose the work of Christ, denying the existence of Christ. Now back in the time of John, when he wrote his letter, there were already false doctrines that were coming into the church that were saying Jesus did not really come in the flesh, that it wasn't real. Pastor Doug: And uh, are you still with us? Pastor Jëan Ross: Dennis, are you there? Pastor Doug: You've got to press the button again. Pastor Jëan Ross: Let's see. Dennis, you there? Pastor Doug: We lost you briefly, sorry. Were you able to hear my answer? Pastor Doug: Okay. Is that helping? Pastor Doug: The antichrist of Revelation 13 and Daniel chapter 7 is not as specific as what John is talking about, the "spirit of antichrist" that every false religion has really. Dennis: Okay. My trouble with the answer is that it seems that during the Reformation times, that all the Reformers were unanimous in what the antichrist was, that it was a specific entity. Pastor Doug: Yeah. They said it was the Pope. Dennis: Is this the same antichrist? Pastor Doug: Yeah, that hasn't changed. Dennis: Okay. So we're talking about papal Rome? Pastor Doug: But that's not what John is talking about because in 1st John, of course, he writes when Rome is still ruling. Pastor Jëan Ross: He's speaking about the spirit here; and I think that's the point. Dennis: I don't disagree with that. Yes I agree. Pastor Jëan Ross: It's that desire to take the place of Christ so to gather self-accolades from people; to look to the person, instead of looking at Christ. And that was permeating the Christian church even at that point. But it reached it's full during the Dark Ages. Dennis: Okay. And so, well, this text is saying that, at that point, that there was something that was denying, or, some people that were denying that Jesus came in the flesh? Pastor Jëan Ross: --and Gnosticism. Dennis: Okay. And so does that teaching carry over into the antichrist teaching? Or was that teaching dead after the Gnostics died? Pastor Doug: Oh no. That teaching is also very much alive. Matter of fact, every false teaching that you find through history, I don't know any of them that have gone away. Pastor Doug: They take different forms. Pastor Doug: --the reincarnation. But uh, go ahead, I'm sorry. Dennis: My worry is that there is a teaching in, quote, unquote, Christianity, that is denying that Jesus came in the flesh. Is there any comment on that? Pastor Doug: Yeah. There are a number of teachings that take the name "Christian" that deny the Incarnation that Jesus came in the flesh. Pastor Jëan Ross: Oh that He is the Son of God. Pastor Doug: So I'm, yeah I don't know if it...it sounds like we're...I don't know if we're hitting your target. The best thing we could do that, I think, would give us a bulls eye is we have a lesson that deals with the mark of the beast and the antichrist. Pastor Jëan Ross: Called, "Who Is the Anti-Christ?" Pastor Jëan Ross: It's a deep topic. We're just seeing the top of the iceberg here. To receive the study guide, call the resource number, 1-800-835-6747. Ask for the study guide, "Who Is the Anti-Christ?" Pastor Doug: And they can get that for free can't they? Pastor Jëan Ross: It's free. Just call the number and we'll send it right out. Our next caller is Lee, and he is calling from Knoxville, Tennessee, listening on WITA. Lee, welcome to the program. Lee: Hello. How are you all tonight? Pastor Doug: Hey Lee, we're going to have to talk fast. Pastor Doug: We didn't know whether we had time for another question but we're going to try and squeeze you in. Lee: Alright, okay. Well let me get this out if I can. How can a person like myself be sure that God is hearing my prayers, when there are still some habitual sins that I still commit; yet I do still pray about about those sins and the power to overcome them. How do I know that God is hearing my prayers? Pastor Doug: Alright. Let me try and give you a quick answer. The Lord will always hear a prayer of genuine repentance and confession. 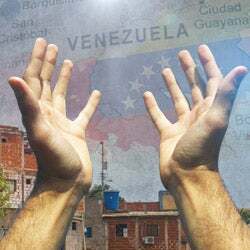 And if the Lord knows that we are doing our best to gain the victory, and we're praying about other things and other needs, He's a merciful God. Keep in mind, Lee, Jesus said He even sends the rain on the just and the unjust. The Lord says in 1st John chapter 1, verse 9: "If we confess our sins, he is faithful and just to forgive us our sins, and to cleanse us from all unrighteousness." And then, He'll hear our prayers. Oh I wish we had more time. Send for the free offer, Three Steps to Heaven. That would be perfect for you, Lee, Three Steps to Heaven. We'll send it to you. Just call the resource number. In just a moment, you're going to hear Pastor Ross give that number again during our closing announcements. Listening friends, keep in mind, this program is completely faith-based. Check out the Amazing Facts website. And remember, Jesus is the truth that will set you free.